Home » Media » Retired Gay Star Sam Champion Salary, Net Worth & New Job Revealed!..Now? 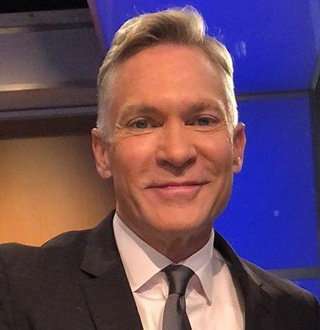 American weather anchor Sam Champion had finally chosen to take his needed rest from years of working with his escalating age. But fate wasn't going to let him go - he ended up at the same place and got his huge career break. 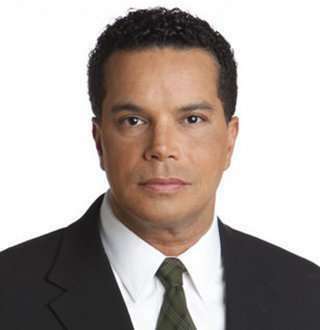 The Paducah, Kentucky native is known for his contribution of combined 25 years to the ABC flagship station WABC-TV and Good Morning America. He left GMA in 2013 but later returned on a fill-in basis. You May Also Like: Brooke Langton Age 47 Married On Screen; Who’s Real Husband Now? As an active philanthropist, Sam has been the chairman of the 25th annual March of Dimes NYC Walk America and Stopping AIDS Together. It was in October 2012 that Sam came out as gay during the wedding reception of Thomas Roberts and Patrick Abner. He went to the dance floor with his gay partner, Rubem Robierb, and that was all it took for them to gush about how they had recently got engaged. The two had first met through mutual friends in Miami. Do Sam Champion $ Gay Partner Rubem Have Kids? Sam and his gay partner Rubem Robeirb didn’t wait long for their wedding as they pronounced their vows at Sam’s NYC apartment, only two months after getting engaged. There were around 100 guests including Lara Spencer, Josh Elliot, and Robin Roberts present during the wedding reception that was held at the Icon South Beach where singer Nicole Henry and producer Richard Ray-Alexander performed. The wedding went all good, and it hadn't been a year of getting married to his husband, Sam soon confessed that he wanted to have kids and start a family. But that hasn’t yet happened. So, we can only assume that he is enjoying his alone time with his husband. In fact, they never miss the opportunity just to lay back and enjoy their time with their occasional vacations. Born on 13 August 1961, Samuel James Champion started his career by interning at WKYT-TV in Lexington, Kentucky. He soon began working at WPSD-TV in Paducah and WCWJ in Jacksonville. Sam, age 57, took a slight swerve and became a weather forecaster for WABC-TV’s Eyewitness News in 1988. Earning a salary of $1.5 million per year, he went to Good Morning America in 2004 and made his host debut in Sea Rescue in April 2008. In August 2006, the weather anchor was announced to join Good Morning America and ABC News. The new stint added more to his net worth of $10 million (present). And after seven years of contributing to the network, Sam departed from ABC in December 2013 to become an on-air managing editor of The Weather Channel. What is Sam Champion Doing Now? Retired? Following his departure from GMA, Sam started hosting his own morning show, America’s Morning Headquarters in March 2014 but that didn’t last long as he left AMHQ in September 2015 to contribute to its primetime programs. Unfortunately, it was in December 2016 when Sam and The Weather Channel decided not to renew their contract, and he retired, but it was only temporary as he had another new job to take care of. He returned to ABC in February 2018 as a fill-in weather forecast following Ginger Zee’s maternity leave and now gives his time to the weekend edition of Good Morning America.